You’ve heard of arm candy, right? Well this DIY takes the phrase to a whole new level. 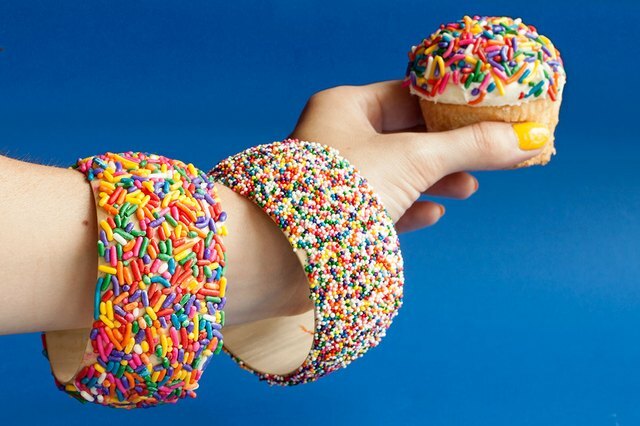 Introducing, sprinkle bangles! 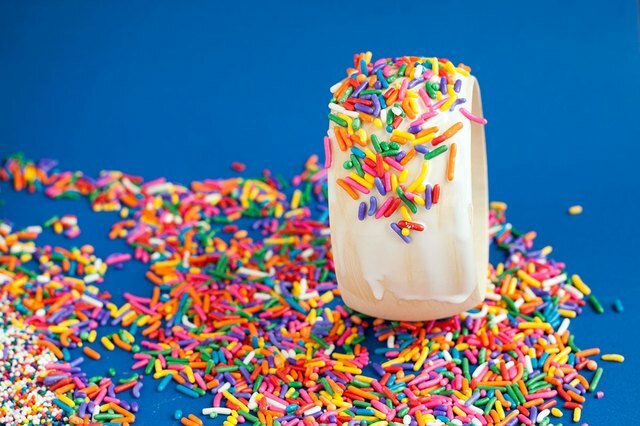 A wise woman once said, everything is better with sprinkles. Okay, that was me, but these are words to live by! Follow these easy steps and you’ll have your very own sprinkle bracelet in no time. It’ll look so good you’ll want to eat it! But don't. It's covered in sealant. Gather materials. 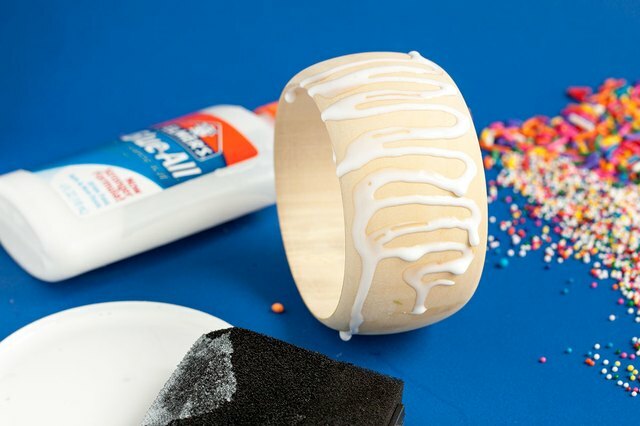 Cover the outside of each wooden bangle with glue. Use a paintbrush to make sure every inch is covered. Be careful not to get glue on the inside; but if you do, just wipe it off with a damp paper towel. 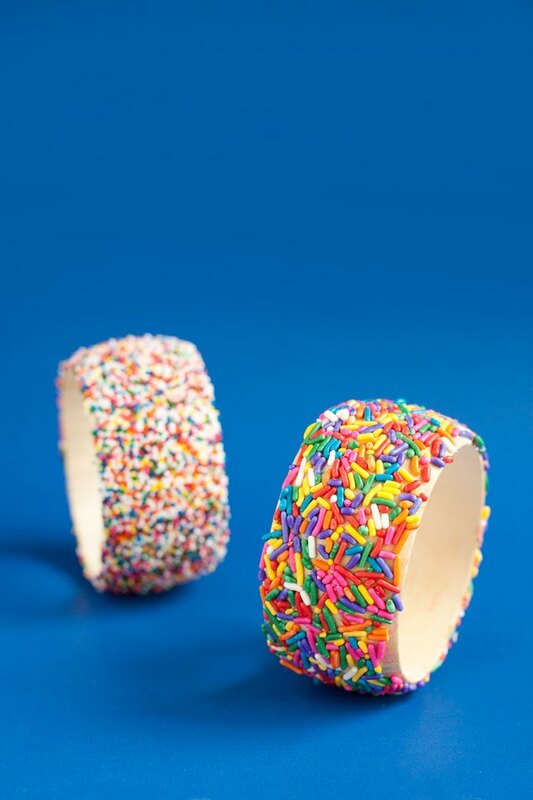 Roll bangle in sprinkles. Smaller sprinkles adhere more easily. 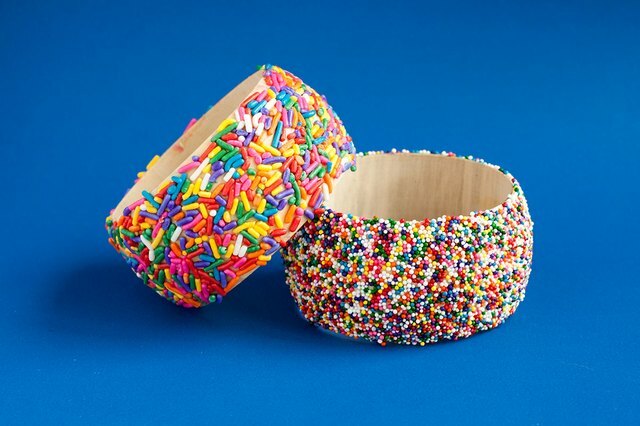 For larger sprinkles roll through multiple times pressing with your fingers. Let dry. Spray bangle with a thin layer of sealant. Let dry. Spray second or third coat as needed. Let dry. Enjoy! It's super cool to match your bracelets to your cupcake!